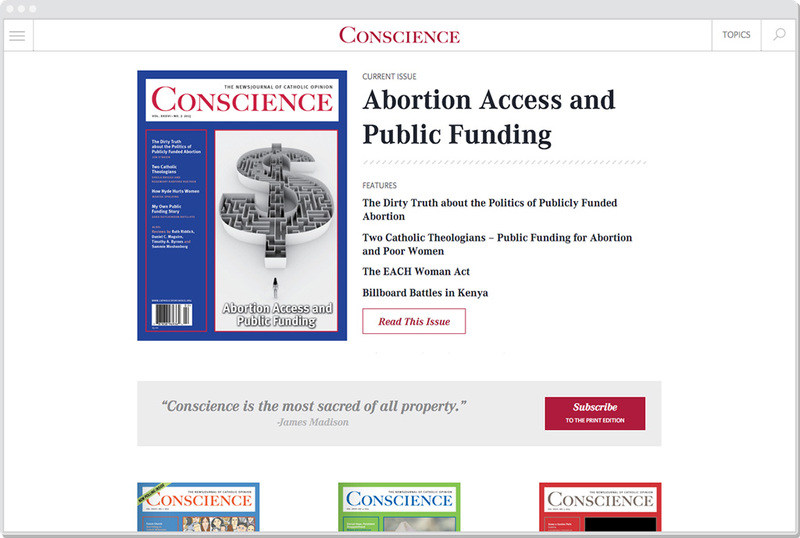 Catholics For Choice approached Friendly to create an online home for Conscience, the organization’s flagship magazine. 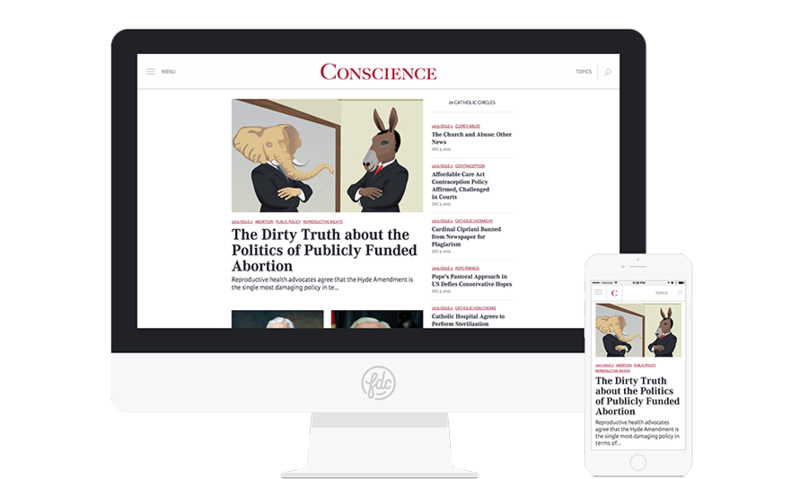 The end result is a thoughtful, informational, and reader-friendly site that enhances the magazine’s content. 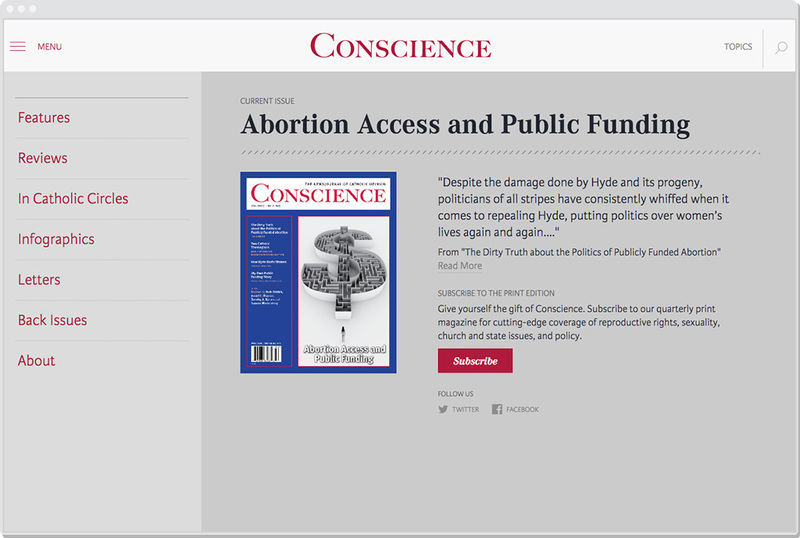 After analyzing the magazine’s audience and poring over three years of back issues, we organized the site to afford easy article sorting and discovery, and designed layouts with elegant typography to maximize legibility. We implemented small details throughout the site that solidified a great user experience. Our dual menu provides easy access to topics and past issues, as well as adapts to the necessary navigation needs of users depending on what type of content they view. Smooth, elegant transitions leave readers at ease as they move from one article to next, educating themselves on important issues, and aligning themselves to the cause.